Christina's Creations: One of my favorite kits!! One of my favorite kits so far is one by Kristin Cronin Barrow called Hey There Gorgeous. I just love the colors and the element in this kit. It's so girly! This is the kit I used to create the designs on my page. If you love it as much as I do, pick it up before it's gone! It's available at Sweep Shoppe Designs here. 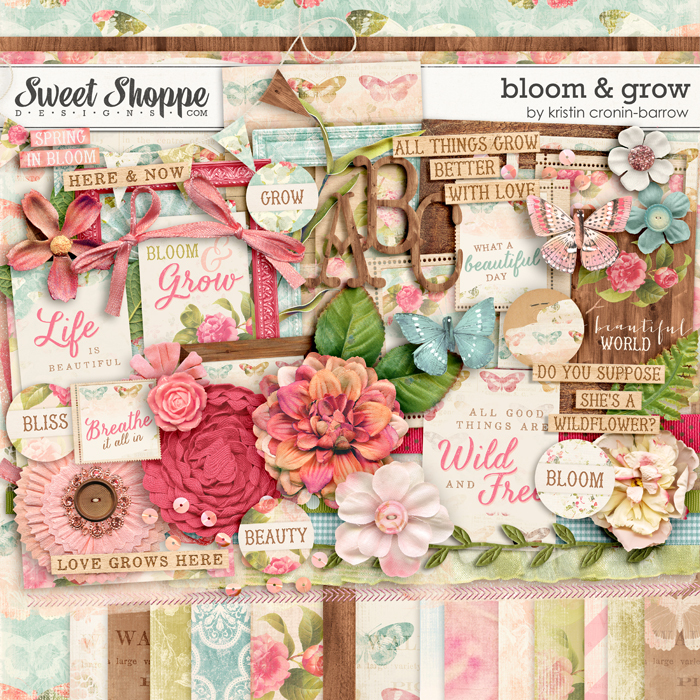 I also love her kit Bloom & Grow, which I think goes perfectly with this kit if you like to mix elements from different kits. Sometimes it works really well. You can find it here.